Funkallisto is a Rome-based band formed in February 2004. The six original members got together in the heart of the city, Trastevere, giving life to a unique project delivering a high-energy repertoire of Funk, Afrobeat , Latin and dancefloor Jazz. Over the last seven years the group has achieved legendary status in Rome selling 20,000 copies of their 3 albums to date. The latest, ‘Soul Ragù’ boasts nine original tracks including a four man horn section and guest vocalists Adriano Bono and Daoda Mbow. The band recently supported the James Taylor Quartet and appeared as the backing band for The Californian singer Lil’ Giselle fresh from a live show on Mark Lamarr’s BBC radio show in London. Over the years the band have performed in a wide range of clubs and festivals from Cairo, Shanghai, Berlin and Barcelona to Southampton’s Soul Cellar, Birmingham’s Yardbird and the Bern busker festival. In Italy the band has toured extensively, done numerous national live radio and television shows. 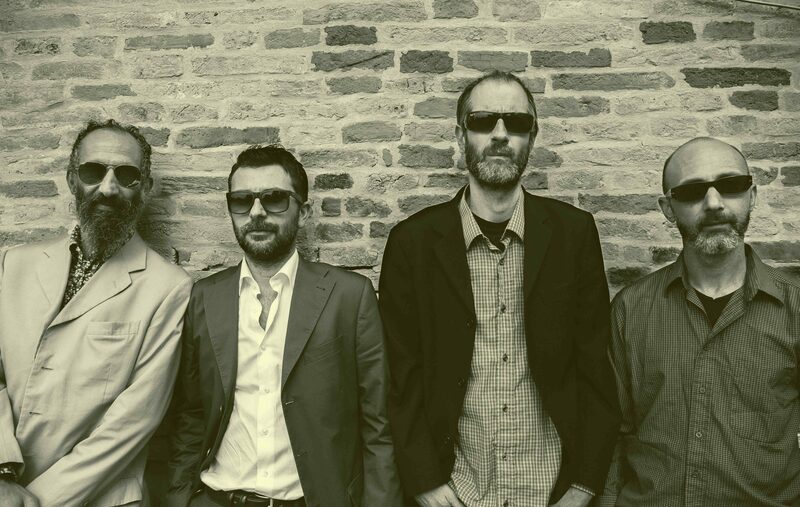 In 2009 an alternate take of the track, ‘Charangas’ was selected for the compilation ‘Funk in Italy’ promoting the major exponents of the Italian Funk scene and in 2007 one of their tracks was remixed by DJ Margoo and released on Brioche records. One of the keys to the band’s success is their unique, dynamic and inspiring sound coupled with the capacity to appear in a variety of situations, adding vocalists and dancers to the recipe and creating a mass following in Rome at their regular events called, ‘La grande abbuffunk’. The band also regularly performs on the scenic streets of Rome in a reduced format which has resulted in a substantial sale of cd’s and effectively launched the band in its early stages. Clubs:Caffè Zapata (Berlino), Soul Cellar (Sout hampton), Yardbird (Birmingham), Jazz Club (Edinburgo), El Sawai (Cairo) La Palma Club (RM), Micca Club (RM) Init Club (RM), C.S. Rialto (RM),Circolo degli Artisti (RM),Contestaccio (RM), Fluido (TO), DorianGray (FE), Leoncavallo (MI), Boca Baranca (RA), Clubbino (CS), 400 (MI), I Fontanili (VA), Connie Duglas, (MI),Angelo Mai(RM), Brancaleone(RM). Hotels: Cala di Volpe (SS), Porto Cervo (SS), Romazzino (SS).